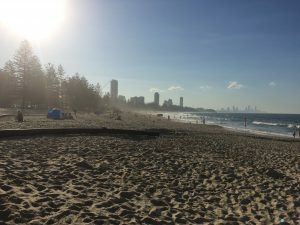 Every summer thousands of people on the Gold Coast make their way down to the beach to cool off and escape the heat. However, not all people are lucky enough to jump into the water for a quick dip. 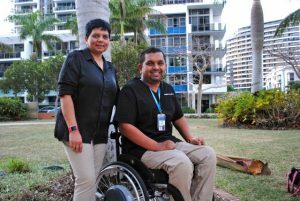 Many people living with a disability can only dream about swimming in the majestic beaches of the Gold Coast. Although, there are groups of people working tirelessly to make their dreams a reality. President for the Disabled Surfers Association of Australia, Gary Blaschke, understands first hand what it is like to be temporarilly robbed of enjoying the ocean. Mr Blaschke was a passionate surfer, but a horrific motorcycle accident left him without a kneecap. This meant he had to endure extensive rehabilitation. Luckily for Mr Blanchke when his rehab was complete he was able to return to the ocean. Throughout his rehabilitation he met many people who had gone through a similar path. However, many of them believed they would never be able to surf or enter the ocean again. This motivated him to find a way for all people with disabilities to be reunited with the water. The Disabled Surfers Association of Australia has since come a long way. The DSAA now has branches nationwide, which pride themselves on making peoples’ dreams become a reality. In 2004 the Gold Coast branch was founded by the Gold Coast president Ian Gay. At the time Mr Gay was a local surfer who was looking for more ways to give back to the community. He was immediately drawn to the idea of the DSAA when he read about the organisation in the local paper. “It tied in with something I love doing, and just looked like a lot of fun,” he said. 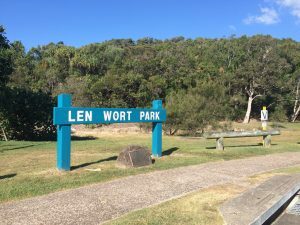 Every summer the DSAA Gold Coast branch hosts a few ‘lets go surfing’ days at the Len Wort Park/Flat Rock Beach at Currumbin. The DSAA encourages people with all disabilities to come down and join them in catching some waves. Or just to have a relaxing swim in the ocean. 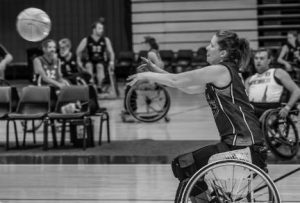 In the thirteen years they have been around the DSAA has always been able to include people with different disabilities. They have surfed with young kids living with down syndrome, paraplegics, quadriplegics and elderly people with low mobility. Mr Gay has been running the Gold Coast branch for over a decade now and still loves what he does. He said the most rewarding aspect is being part of “the smiles and the laughs and seeing that reaction from them when they’re catching waves”. But it is not just the people catching the waves who find bliss. The families watching on from the beach are often overcome with emotion, from seeing their loved ones doing something they never thought possible. “I’ve seen volunteers come away from the event in tears of joy,” Mr Gay said. Unfortunately, there are not many other opportunities for people with disabilities to experience the ocean. Mr Gay believes the issue of improving beach accessibility on the Gold Coast is very slow moving. He said more needs to be done to include people with disabilities. 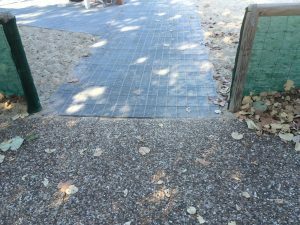 Broadwater Parklands is one of the few places on the Gold Coast which has implemented permanent beach matting for people who need to use wheelchairs. 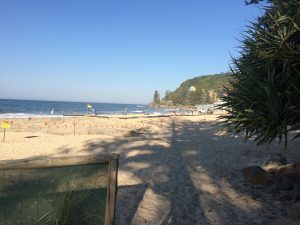 However, last summer the Gold Coast Council trialled new beach matting at Burleigh Beach. The beach matting made it all the way down to the shoreline, which provided access for people in wheelchairs. 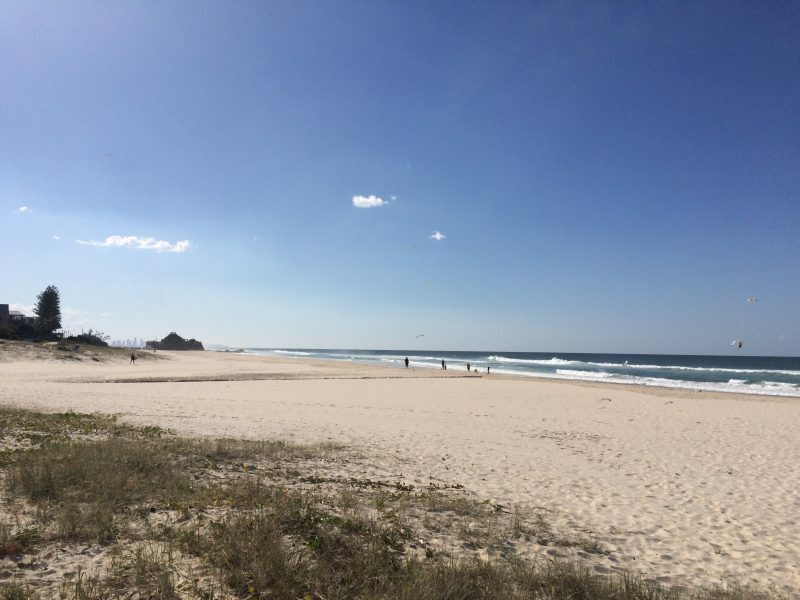 Gold Coast Mayor, Tom Tate said the matting was the first on the Gold Coast to provide access to an ocean beach. People who need wheelchairs are not the only ones benefitting from the beach matting trail. The mats have also proved to be a huge help to people with mobility issues. Additionally, Mums and Dads found the mats to be a great assistance while getting their prams onto the beach. 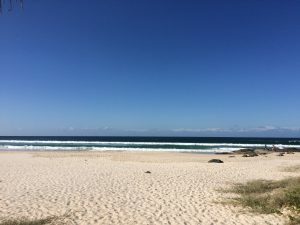 It is no lie that the Gold Coast is home to some of the most pristine beaches in the entire world. This is why people of all abilities should have the right to enjoy and experience these wonderful beaches. Adding more beach accessibility facilities will lead the Gold Coast into to a brighter, better and more inclusive future.